Volunteers have been making a difference at the Louisville Zoo for over 45 years! Share your time, talent and enthusiasm in a stimulating environment and you won’t go away empty handed. Volunteer benefits include learning about the animal world, its ecology and conservation, making new friends, developing new skills and contributing to the quality of life in your community. During the 2015–16 (July – June) fiscal year, the Louisville Zoo had a total of 2,845 volunteers in a variety of departments including horticulture, maintenance, administrative and even in animal areas. Together they contributed over 64.694 hours valued at $1,248,822.01 (inclusive of benefits) equal to 31 full-time employees. 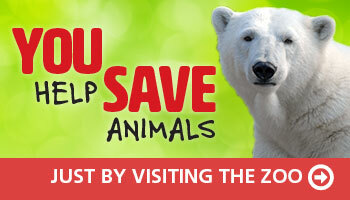 You may volunteer in almost every area of the Zoo. The area you choose depends on your personal interest and available time. The Zoo offers volunteer opportunities in the areas of animal care (no hands-on contact), education, horticulture and special events. What do you need to become a volunteer? An interest in animals and people, a considerate disposition and a willingness to share and grow are some of the desirable qualities for Zoo volunteers. There are volunteer opportunities for anyone age 13 and above. All volunteers must have a current Tuberculin skin test. There is also a special youth program for those 13–18 years of age. To discuss the possibilities with our Coordinator of Volunteers simply email mary.taylor@louisvilleky.gov or print and fill out the online volunteer form. We will be happy to work with you to select just the right volunteer opportunity that matches your availability, interests and any special needs. Once the application process is complete, your schedule will be prepared and you will be shown to your job area and introduced to your supervisor. At that time, a job description and any other instructions that you may need will be provided. Should you wish to try something new or your interest level expand, the Coordinator of Volunteers will assist you in making necessary arrangements. Are There Additional Benefits for Volunteers? A 50% discount on all food and drinks purchased at all concession stands while on duty and wearing a volunteer badge. A subscription to the Trunkline newsletter. What is the Zoo Youth Board? The 50-member Zoo Youth Board is made up of students age 13–18 (or until graduation). Click here to learn more about this amazing group of young people. The Louisville Zoo’s mission is to better the bond between people and our planet by providing excellent care for animals, a great experience for visitors, and leadership in conservation education. Volunteers are integral to this goal as we educate, entertain and involve diverse groups of people from all walks of life. The Coordinator of Volunteers and Zoo staff will work with you to make your time at the Zoo enjoyable, productive and educational.